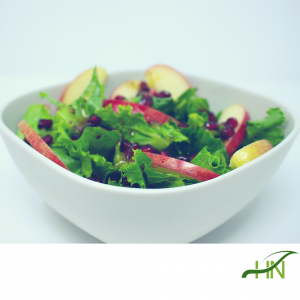 Pomegranate and red apple salad - Xmas salad. Love the red pomegranate almost looks like Christmas ornaments. Whisk dijon mustard, honey, vinegar, sesame oil, and olive oil whisk well and add salt and pepper to taste. Drizzle salad dressing over salad and serve.